Started in the Year 2001, Bangalore Bio, now Bangalore INDIA BIO, has emerged as India's biggest national event attracting participation from Biotech, Pharma & allied industries, Research institutes and all the major Biotech States. Belectric, Inc. is performing the design, permitting, procurement, construction, and commissioning of the new Pocono Raceway solar power plant. The NextEnergy Centre, a US business accelerator for alternative and renewable energy, for the development of an alpha prototype Small-scale Hydrogen Fuelling Appliance (SHFA) for 70MPa (700 bar) home refuelling, with consideration of 35MPa (350 bar). SMA America has announced the availability of select Sunny Boy solar inverters for projects requiring compliance with the "Buy American" clause in the American Reconstruction and Reinvestment Act of 2009 (ARRA). 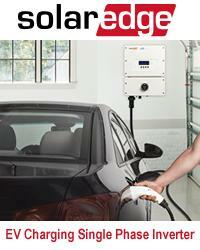 The ARRA compliant solar inverters are available for immediate shipment. Shelton, CT and Toronto, ON, May 25, 2010 - OPEL International Inc. (TSX-V: OPL) ("OPEL" or "the Company"), a leading global supplier of high concentration photovoltaic ("HCPV") solar products, today announced that proxy materials were mailed to shareholders with respect to the Annual and Special Meeting of shareholders to be held in Toronto on June 18, 2010 (the Meeting"). In addition to the usual matters to be determined at the Meeting, including the appointment of auditors and election of directors, shareholders will be asked to consider a special resolution authorizing, subject to regulatory approval, the change in the name of the Company to OPEL Solar International Inc. The official launch of the LEED for Neighborhood Development (LEED-ND) Rating System was on April 29, 2010. The US Green Building Council (USGBC) is the first national organization to regulate neighborhood design by focusing on smart growth and eco-friendly building principles. LEED Green Building Standards Expanding Globally With the current push for more stringent, eco-friendly, building standard practices being supported by the federal government and abroad, the need for LEED training is now expanding globally. Too many people think of professional exams or continuing education as cruel exercises in futility; a complete waste of time spent learning about a new concept that will eventually be trumped in a year by a newer, more innovative concept. But, what if your medical doctor thought this way? Remke Energy recently introduced an expanded line of Helio-Link Solar Products for Thin-Film and Crystalline PV panels & arrays. The Helio-Link line includes IP 68 rated field wireable & bulkhead connectors, assembly/installation tools & kits, PV/USE cable, custom cable assemblies, thin-film junction boxes, combiner boxes and grid tie products. Integrated Electrical Services (www.ies-co.com), (NASDAQ: IESC) and Andretti Autosport announced today that IndyCar driver Ryan Hunter-Reay will make an appearance at the WINDPOWER 2010 Conference and Exposition as part of the sponsorship agreement between the two companies. Integrated Electrical Services (www.ies-co.com), (NASDAQ: IESC) will showcase its renewable energy electrical and communications capabilities and experience at the WINDPOWER 2010 Conference and Exposition being held at the Dallas Convention Center May 23-26, 2010.